February 2, 2017 at 1:49 pm. 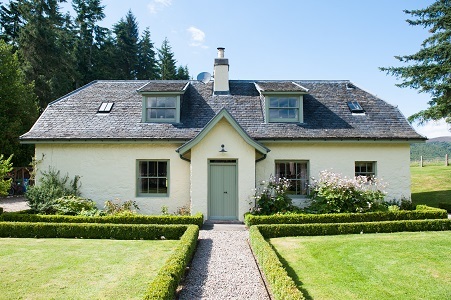 At Aldourie Estate in Scotland we welcome guests to stay in its beautiful Highland holiday cottages all year round. 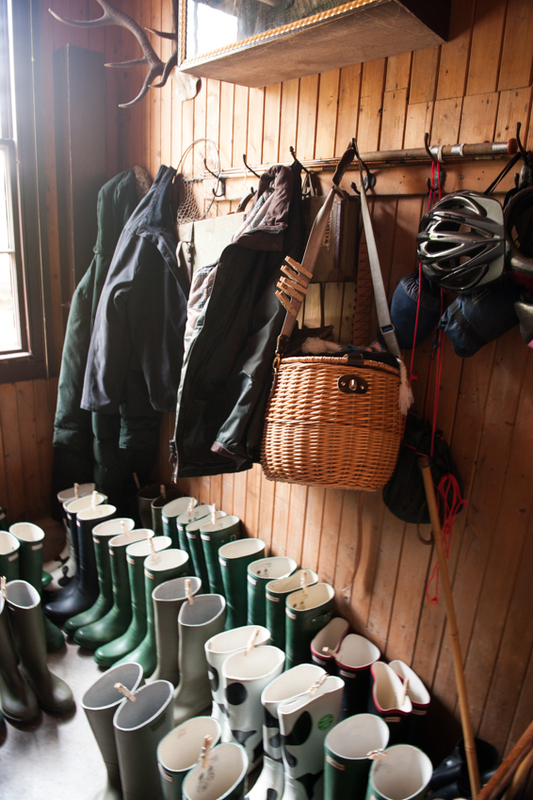 Our holiday cottage guests stay for different types of short breaks. Some are cycling groups of friends with an holiday itinerary as long as their arm. Others are go-with-the-flow families looking for a relaxing yet fun-filled short break. We also love hosting couples who are looking for sanctuary and space and time to enjoy with only one another. 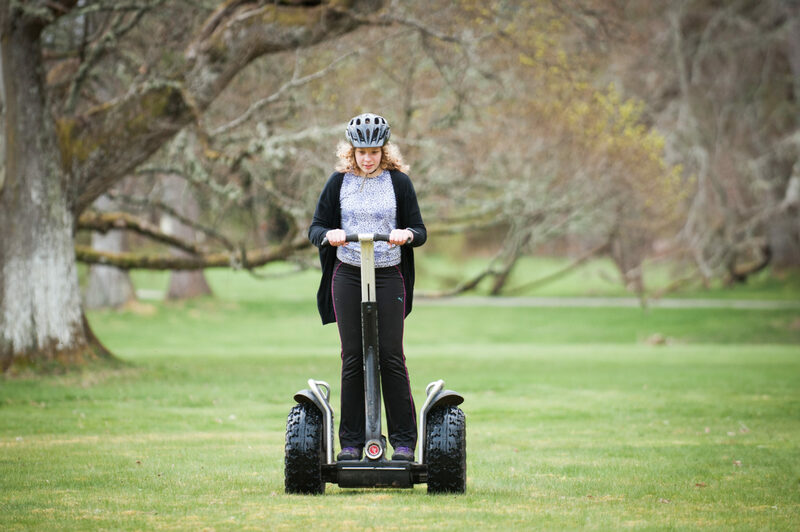 Because after all, if you can’t do that on Loch Ness, where else in the world can you do it? 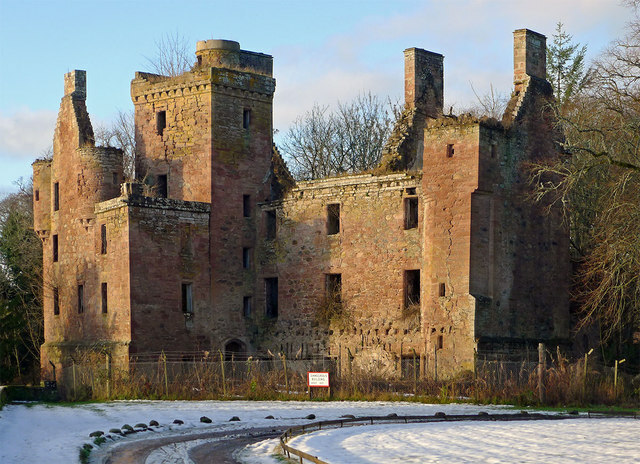 In this blog we have listed for your perusal the top 10 family attractions in Inverness. 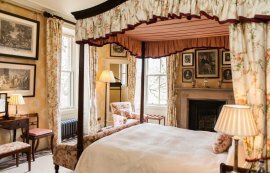 Couples holidaying in Scotland tend to prefer long drives out to the hills and ambling around peaceful villages they have seen in magazines or in films. With this in mind, we have produced a list for the those holidaymakers who wish to stay more local to their Aldourie holiday cottage. Inverness, the most local city only six miles away from Aldourie, is great for enjoying family attractions. 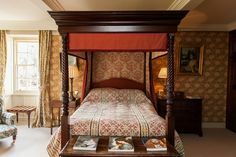 In fact, it boasts a deceivingly ample offering of tourist destinations that can often get overshadowed by the wild calls of the idyllic, majestic countryside of the Scottish Highlands. If refreshing walks and scenic beauty are your idea of the perfect day out then do visit River Ness. It’s one of the most walked family attractions in Inverness. 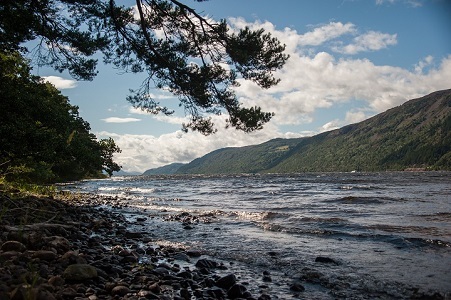 It is about 12 miles long and flows from the north of Loch Ness to north-east in Loch Dochfour. In the summer, bask in the warm and peaceful riverside whilst relaxing and taking in the freshly-scented air. In winter, we hope you’re lucky enough to witness the mountains topped with snow for truly breath-taking views. To add a touch of magic to your cottage holiday in Inverness, head south in the evening to the Ness islands. You’ll find them in the middle of the river and you can stroll the walking paths linked by little bridges. Lit up against the dark skies, they make for a beautiful moonlit walk. 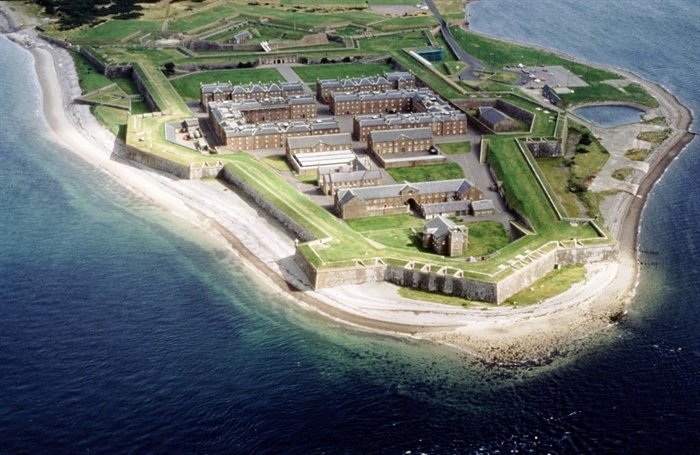 Situated at the edge of the Moray Firth facing harsh North Sea winds, this remarkable fort is well established for tourists yet maintains a strong sense of authenticity due to its current use as a British Army barracks. The impressive landmark overflows with both historical charm – step inside its pretty chapel – and fascinating facts – muse the battle relics in the museum. Fort George is cleverly laid out for visitors to experience it fully. Tourists can appreciate the on-site picturesque architecture whilst walking the original fort grounds. The fort is possibly the most historically relevant family attractions in Inverness. Be prepared to be transported back to the year 1727 crossing the drawbridge and wandering around the ancient fort. Then watch out for the intense sudden winds as you cross over the wide killing ground. 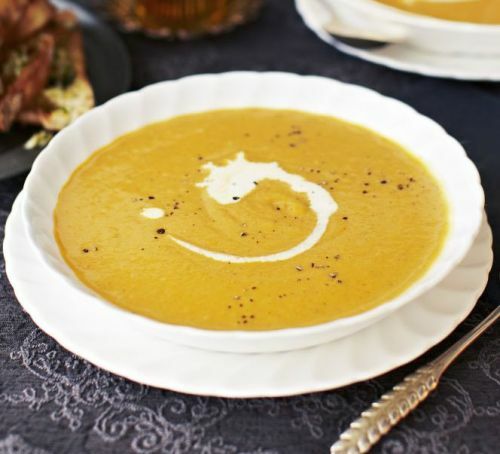 Enjoy a picnic outside or visit the café for a warming soup or coffee. Plant and flower lovers will adore this celebration of natural life with its well-kept ecosystems. 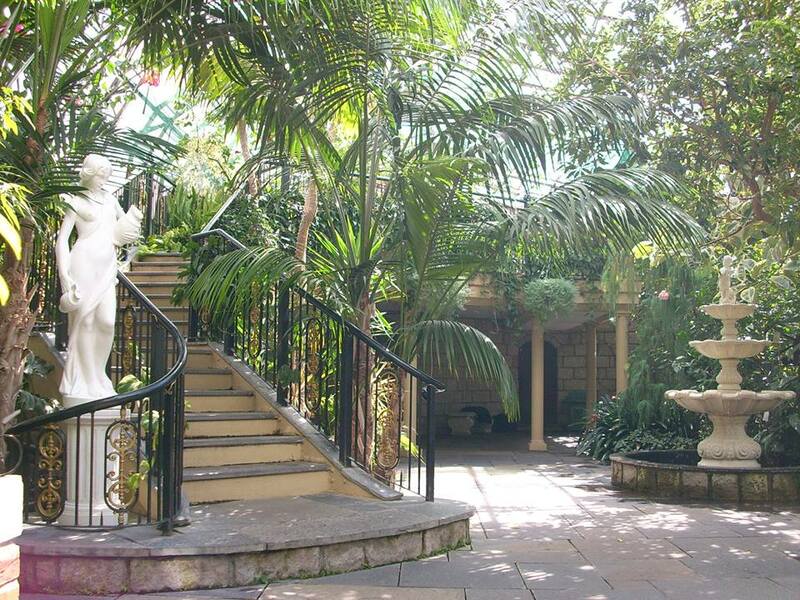 Descend a delightful stone staircase with wrought iron railings into a botanical paradise. You will find it peppered with archways in stone walls, columns and statues. Sit by the small but perfectly formed fountain and let its trickling sounds relax you for a while as the kids play in the maze. 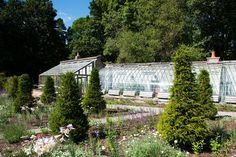 Inverness Botanic Gardens is a lovely day out for families seeking outdoor family attractions in Inverness; the memory tree is particularly appealing as are the greenhouses. It is a great learning experience full of a variety of plants. Another family attractions in Inverness must-see is Ship Space, a free to enter interactive maritime museum. 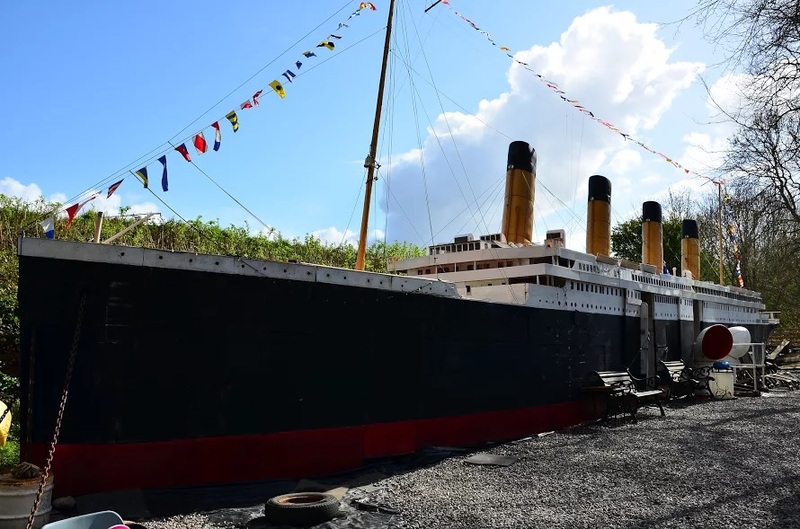 It houses an amazing collection of relics from the Titanic as well as the impressive 88ft outdoor replica. Located along the Caledonian Canal, visitors can explore its various exhibits, photographs and information about various ships. Exhibits include fascinating film footage of divers going down into the sunken Titanic. This family hotspot will have the kids’ imaginations whirring so it’s worth dedicating an hour to get the best out of the unique exhibition. This is an eclectic space full of different levels. So, although fabulous for exploring, it’s not ideally laid out for disabled access. Residing in the walls of Fort George (detailed above) the Highlanders’ Museum featuring The Queen’s own collection covers three floors of the Lieutenant Governors’ House. It represents three of the four famous Scottish regiments which The Highlanders descend from; originally Highland clans of the 1700s. Refurbished to a high standard this is a fine attraction showcasing important Scottish history in impressive, authentic surroundings. 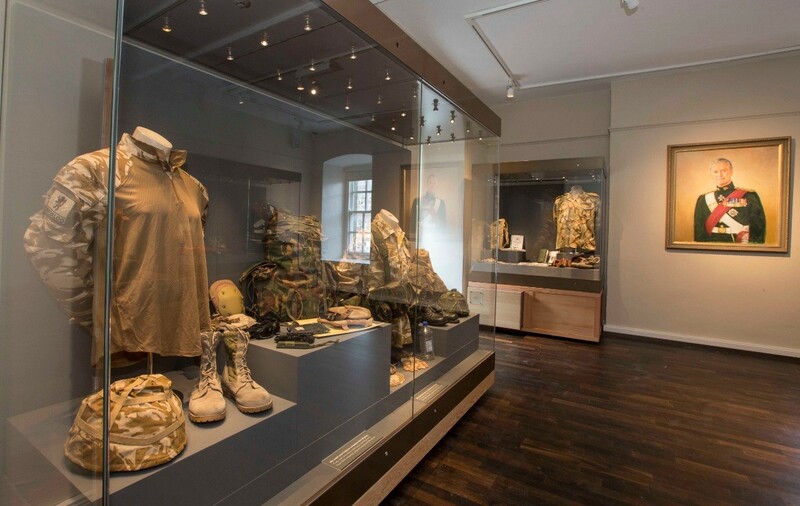 This museum has an extensive collection of thrilling artefacts so if you are factoring this visit into a tour of Fort George, remember to allow plenty of time to peruse at your leisure. 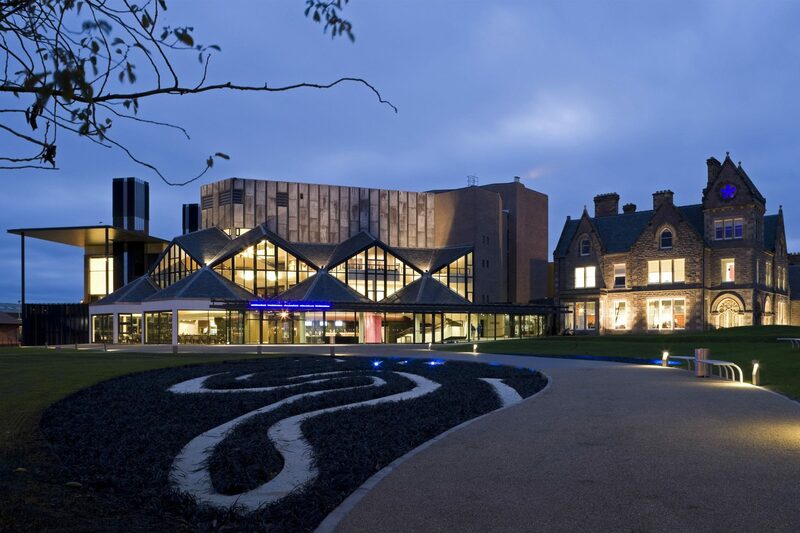 Whether it’s to delight over a nostalgic ballet, go to the cinema or dine out in contemporary surroundings, this ambient Inverness venue is a cultural and social hub. 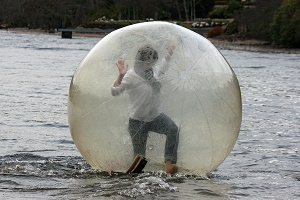 It’s one of the most contemporary family attractions in Inverness. 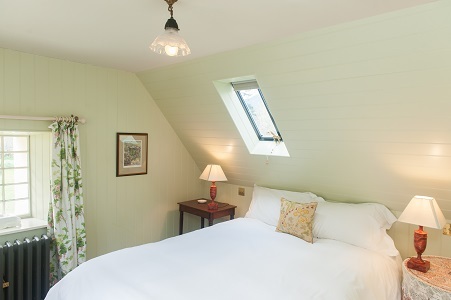 It features light, airy spaces that will bring even more fun to your cottage holiday on Loch Ness. 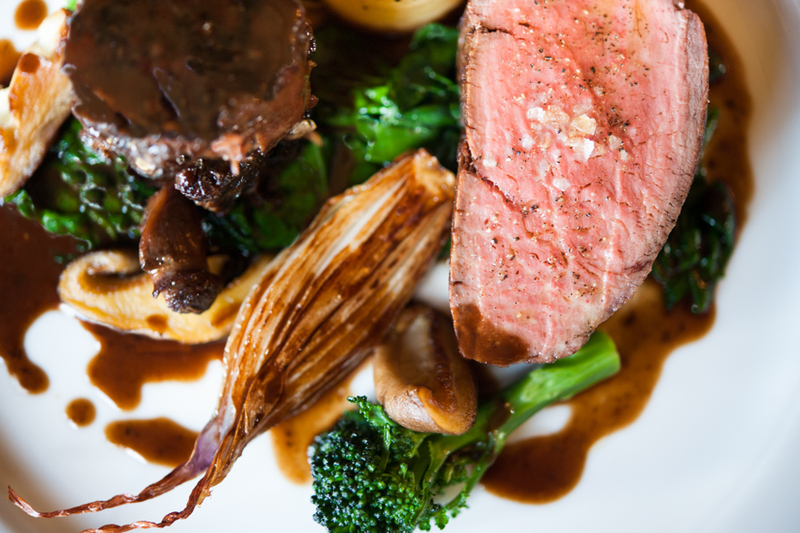 Break up your action-packed holiday in Scotland with an evening out to enjoy dinner and a music concert. 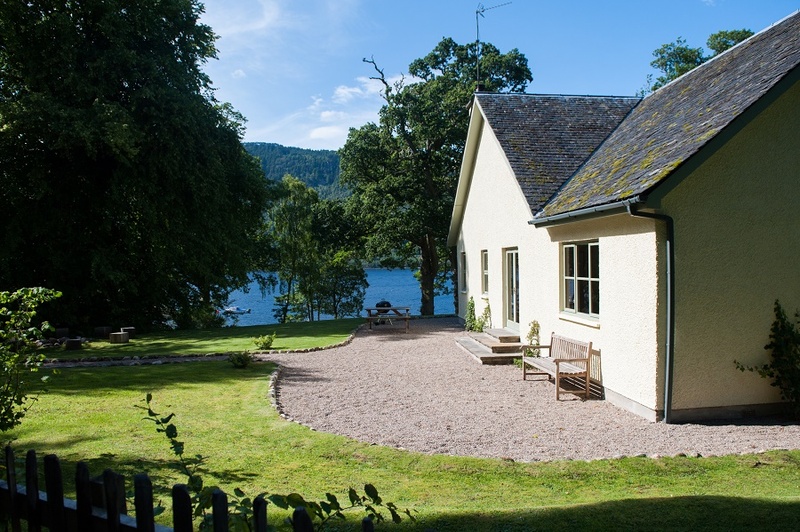 Loch Ness cottage holidaymakers travelling over winter can see the Christmas pantomime at this family-friendly attraction in Inverness. Oh, yes they can! 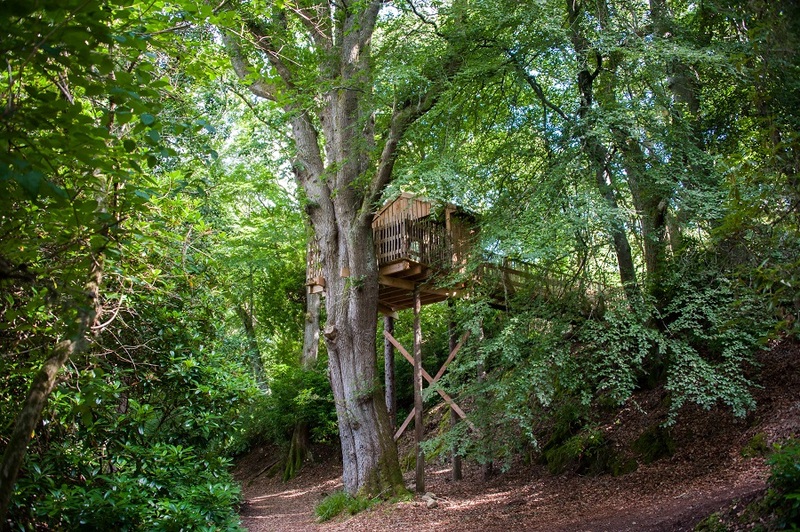 It’s been described as “bouncy” and “elegant” by Loch Ness holiday cottage guests, so wouldn’t you want to give it a go? Greig Street Bridge is a footbridge with an impressive view of the city of Inverness. It crosses over the River Ness and provides ample opportunity to stop and sight-see. Admire its fine ironwork frame but also the castle and churches on each side of the river. 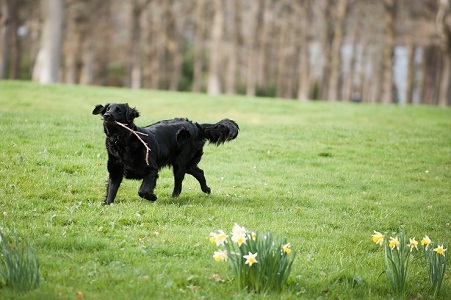 In spring, take a walk at your leisure and stop to look at the daises on the fresh green banks. On a sunny autumn day enjoy the bridge’s peacefulness and gentle swing. 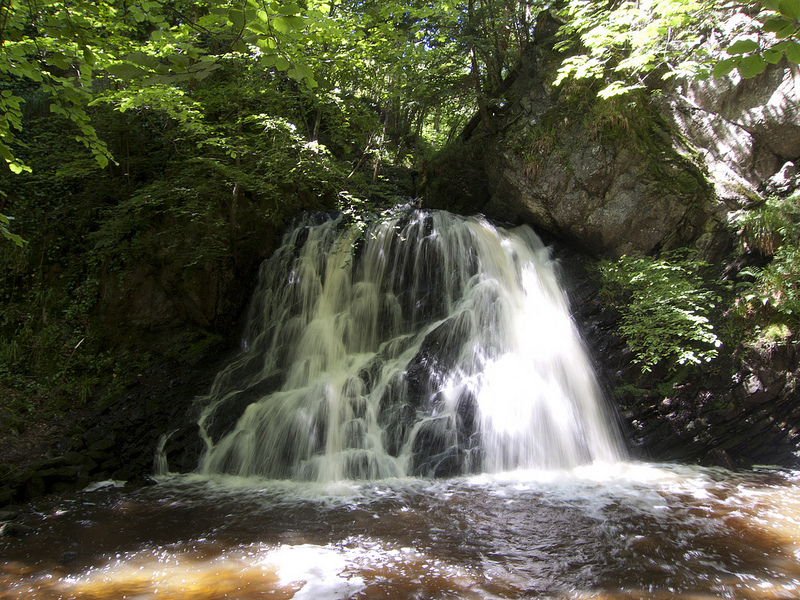 Gazing down watch the rippling water and up high the richly–coloured Highland leaves flying on the breeze. Grandiose with exquisite detail this striking cathedral is a credit to Inverness. It is situated on the riverbank and makes a captivating postcard picture of your photograph travels. The historical space is a hive of stained-glass and beautiful sculptures found through magnificent arches over mosaic flooring. 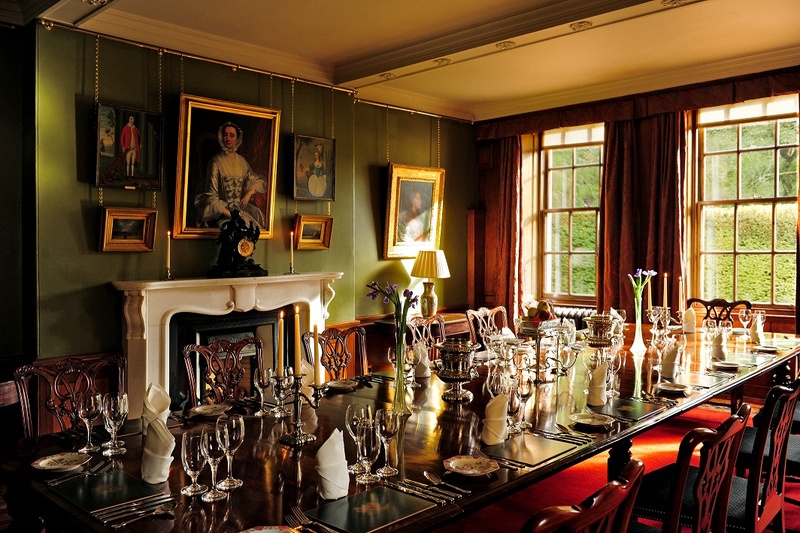 You will find a sense of Scottish spirit and a peaceful atmosphere within these walls. Once outside you can enjoy its eye-catching architecture against a wild Scottish Highlands’ canvas. You’ll be pleased to have spent time in one of the most notable family attractions in Inverness. It’s what it says on the (tartan shortbread) tin; a wonderfully traditional shop to stop off at during your Highlands short break. The Kiltmaker Visitor Centre is great for tourists who want to remember their Scottish holiday in style. The friendly store sells everything you could ever want as a Scottish holiday gift or to remind yourself of the Highlands and Loch Ness. It specialises in making kilts although will happily take your own material and fashion it into a wonderful outfit. Perhaps you’re planning a small intimate wedding on Loch Ness and brought your chosen tartan along for the groomsmen’s kilts. This is yet another cosy little place in Inverness to make a lasting impression. Aesthetically different from the cathedral the ancient stonework and bonny pointed turrets make this church a favoured tourist attraction. One of the oldest family attractions in Inverness, Old High has been in use since Celtic times. Inside, leaflets provide interesting facts on the clans and families who used to attend there. 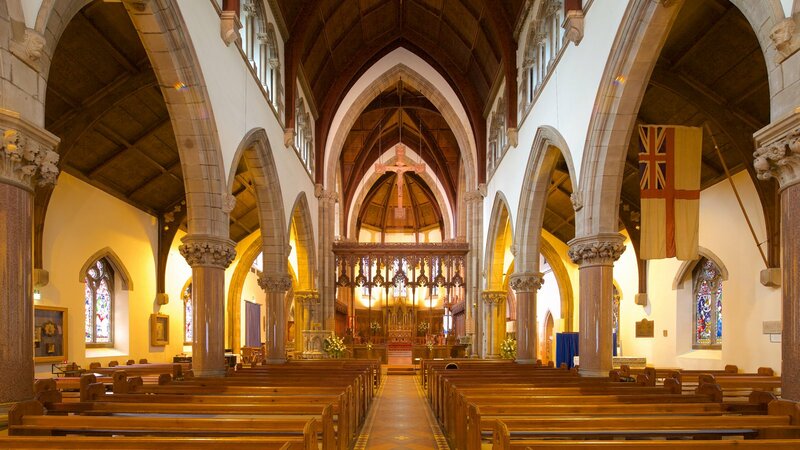 The church is a convenient cultural add-on for holidaymakers spending a day in Inverness. Explore its beautiful cemetery and be amazed at the clever and enduring architecture before entering the doors and losing yourself in its historic stained glass stories. As you will have realised there is more to Inverness than initially meets the eye. It’s not simply a convenient airport for landing flights from London Heathrow and other major UK and international cities, although that is quite a pull, we admit. Inverness is a tourist city in its own right and the ideal holiday destination for short breaks where a bit of culture and history is just as important as freeing loch walks and dramatic landscapes. 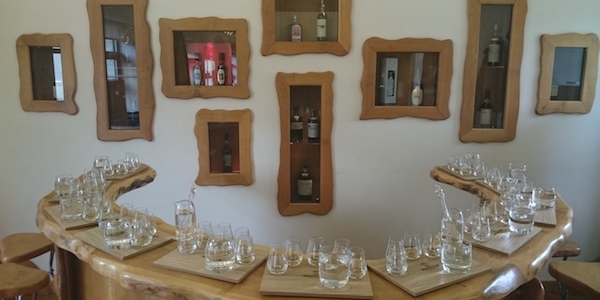 Look out for our next blog post where we’ll invite you to explore the best tours around Inverness, from wine tastings and boat trips to nature spotting and sight seeing.  January 19, 2017 at 11:18 am. 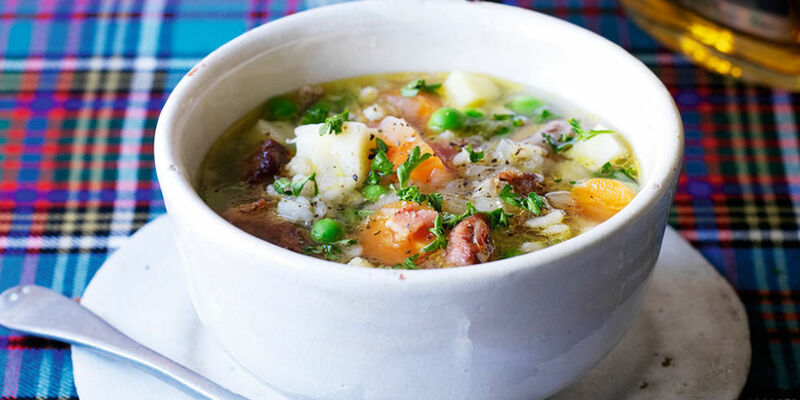 There are endless reasons to book a week’s stay in a holiday cottage in the Scottish Highlands this winter. Firstly, it is guaranteed to warm your soul. (And that’s without topping up the wood-burning stove with a healthy supply of logs.) 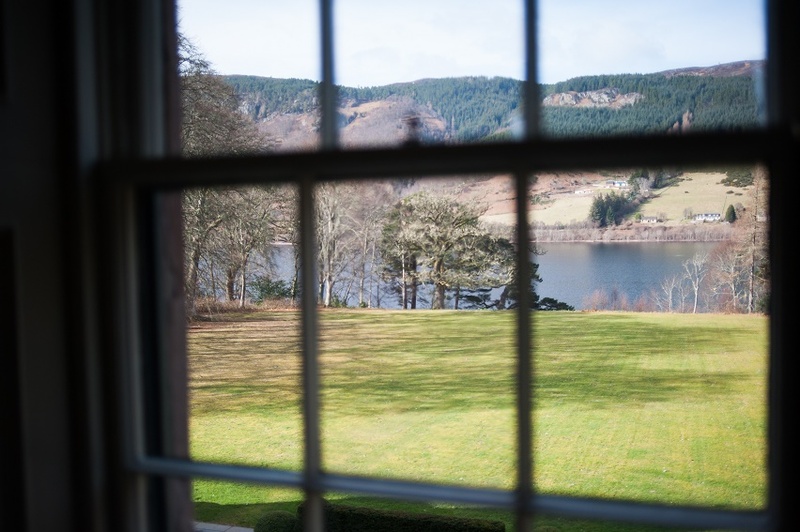 A country Estate in the heart of the Highlands is the most perfect way to start to make the most of your short break in Scotland’s Loch Ness. It really is the most peaceful and beautiful region. 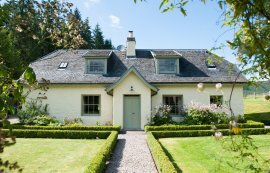 All the more when it comes complete with a private hire castle and four traditional Loch Ness holiday cottages. We guide you to the best place to visit for a cup of hot chocolate, the finest whisky distilleries and the most bracing walks and breath-taking landscapes. 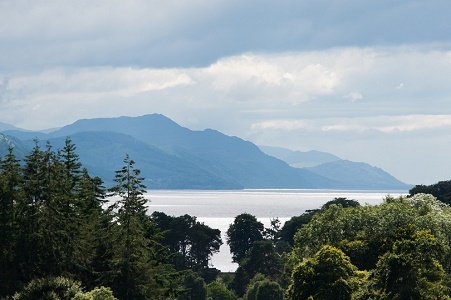 Read on for some of the Highlands’ most favoured highlights in the most renowned locations. As with any scenic and popular holiday destination, locals are proud of this area of Scotland. So, before sinking into a deep hot bath or curling up on the sofa with Harry Potter, be sure to plan your short break itinerary. Make the most of local knowledge and put your time to good use. 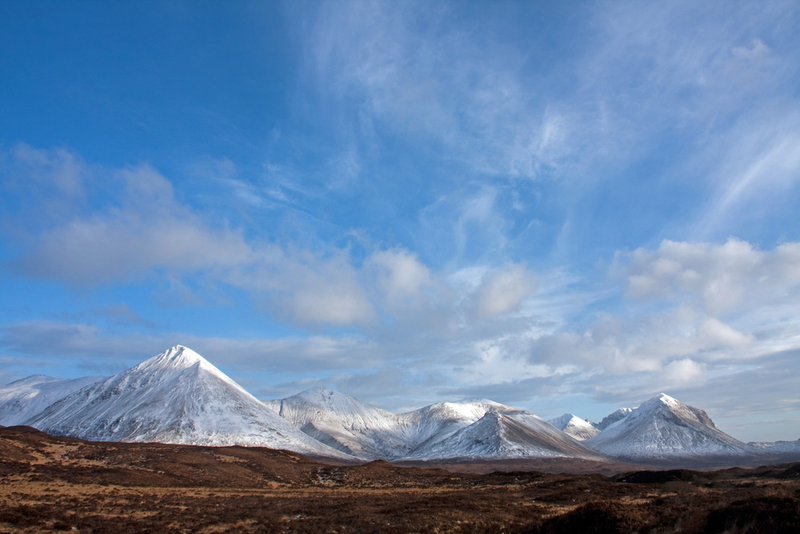 In your ‘top five’ places to see we suggest you include the tranquil and mesmerising Isle of Skye. This remote part of Scotland is a perfect trip to experience the most spectacular views of the Highlands. Skye is easily accessible from the Aldourie holiday cottages, as long as you don’t mind an early morning start. It is widely appreciated for its rugged landscape, historic castles and pretty fishing villages. Tip: jump in the car at day break to make the most of the three hour journey. 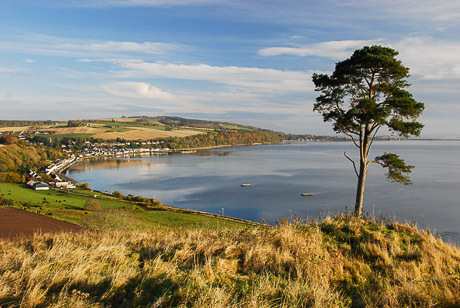 Once you have arrived in the region, enjoy coastline walks and narrow lochs. Don’t forget to stop occasionally to admire Skye’s dramatic mountainous backdrop and wild, cascading waterfalls. During winter you would expect to come across an abundance of Highland cattle congregated between snow-capped peaks. And on the clearest of days you’d be enchanted by the view out across to the Outer Hebrides. The Isle of Skye has fantastic colours that you can capture either with a camera and simply in memory. These sights may strike walkers, hikers and cyclists as ethereal and those of you driving may have to get out once in a while to let the air hit you and make you believe it. 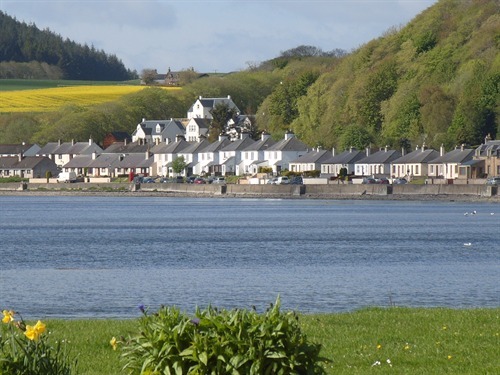 After embracing the magic of the highest points of Skye why not meander among the pastel-coloured houses of Portree where you can find a handful of traditional pubs full of Scottish character as well as a host of pretty clothes and gift boutiques. A trip to the Scottish Highlands would not be complete without taking the ‘low road’ to the bonny banks of Loch Lomond. 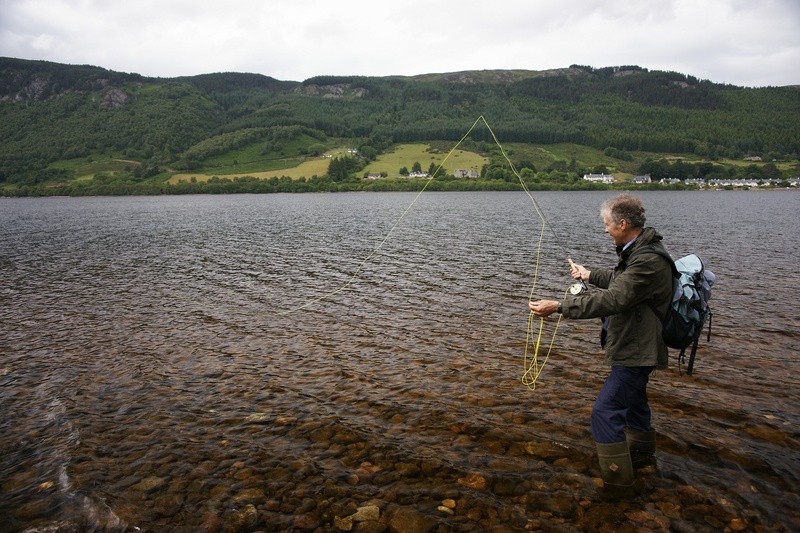 This other famous loch is famed for its folklore, castles and golf – there’s no getting away from it up here. It’s central spot crossing the Highland border is also a pull for water sports, hiking and camping during winter short breaks in Scotland. 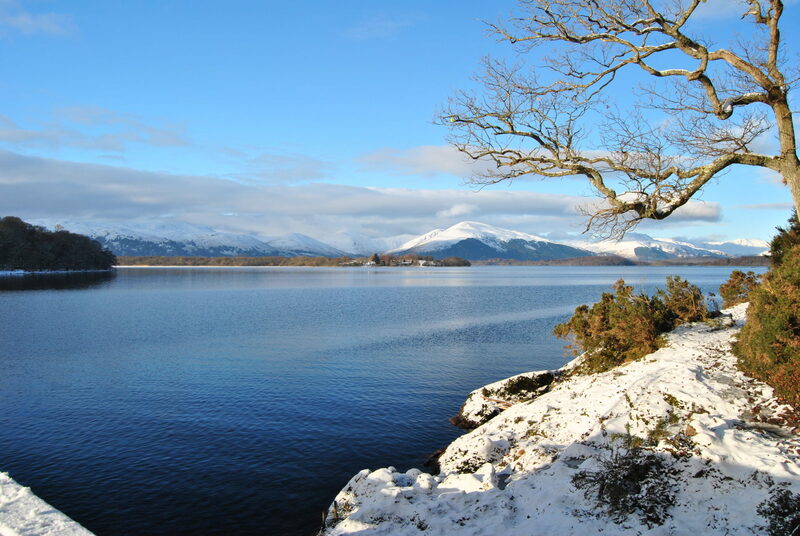 Colder months showcase snow-capped peaks framing the famous lake which have given Loch Lomond legendary world-wide appeal. Its mysterious forests that weave through and cluster among the mountains have inspired many artists and songwriters over the years. 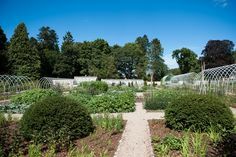 A must-see is Loch Lomond’s lively city life, which encapsulates a thriving food and drink scene. The famous Scottish landmark also features a variety of creative villages. 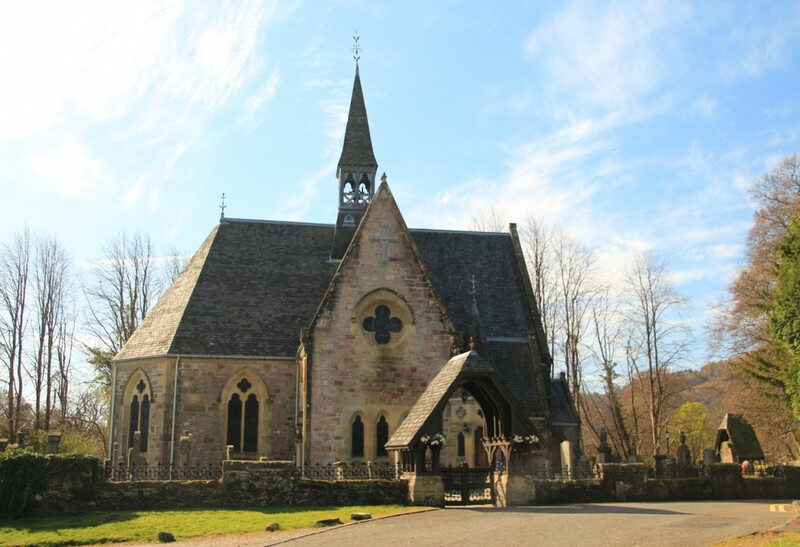 We recommend a trip to Luss during a snowy winter; a traditional village whose steeple church and bridges would befit the front of a Christmas card. During winter, cloudless blue skies illuminate the pristine waters of Loch Lomond. Whether you’re on holiday for the challenging hikes or simply ambling along simple scenic trails there’s a winter walk perfect for you and your family or group of friends. 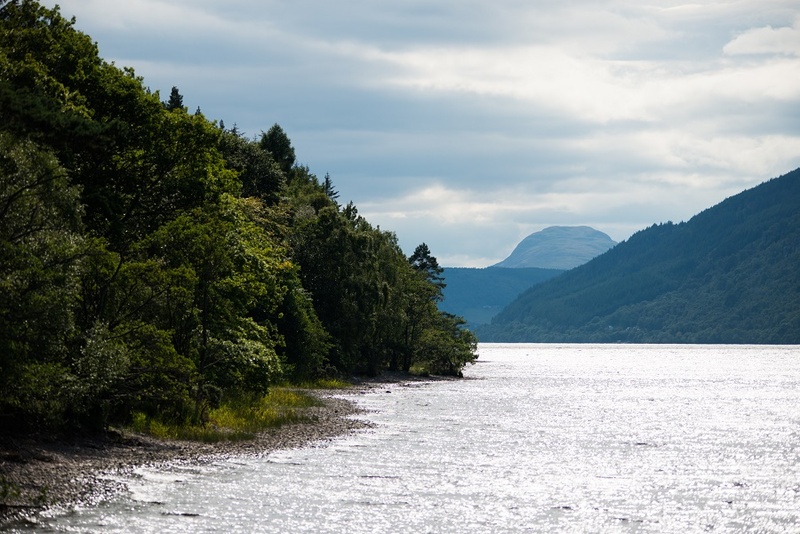 There are a host of walks on the east or southern sides of the loch including Drymen and Balmaha. These have striking views and the promise of summer’s plentiful nature. Listen out for the characteristic call of the winter geese flying overhead in Trossachs National Park. Or take a trip to Stirling and the Forth Valley for its medieval Castle. And, of course, don’t forget to nip into MacGregor’s Market in Killin for a mug of scrumptious hot chocolate. With such a scenic and adventure-filled itinerary for a cottage holiday in Scotland it may be easy to overlook your holiday location. 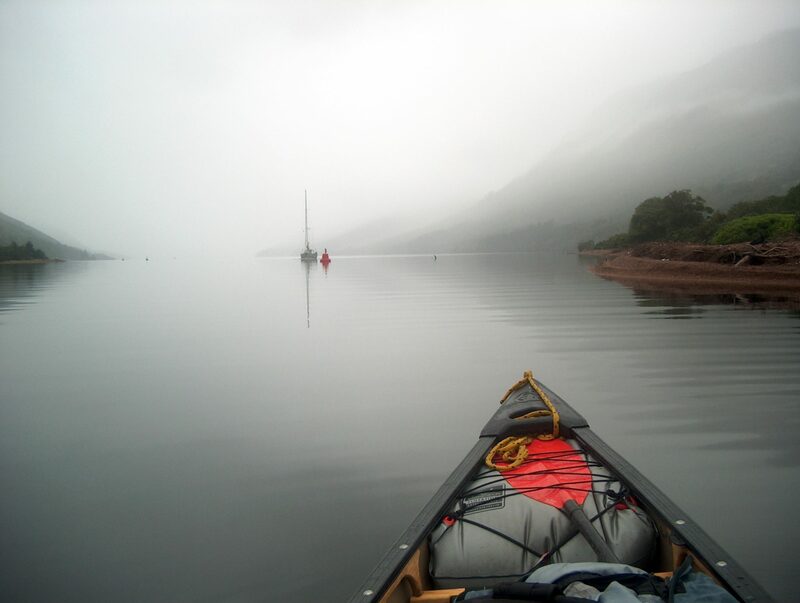 We must not forget our own home in the Scottish Highlands, and so we invite you to explore the wonder of Loch Ness. Sail its vast open water and search for the legendary Monster. Or get up close and personal to the exclusive use property. Aldourie Castle, on the Loch Ness shoreline. 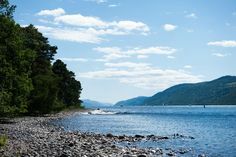 Its epic size and folklore sea creatures apart, Loch Ness has so much to offer the curious nature-loving tourist during winter. Some of the most famous whisky distilleries are based here – Glen Ord and Tomatin are among some of the best distilleries near Inverness. 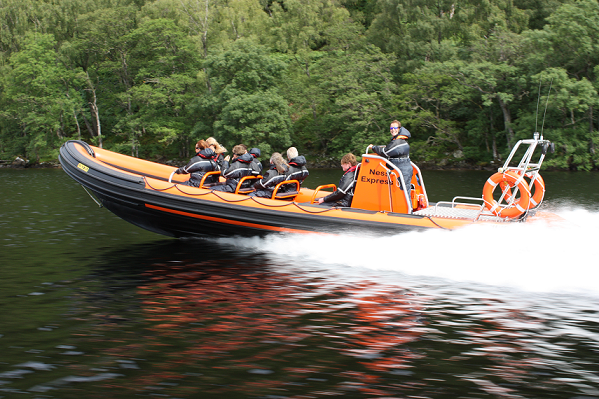 There are also exhilarating boat tours and picturesque woodland walks on your doorstep. The heart of Scotland’s culture is within serious striking distance. 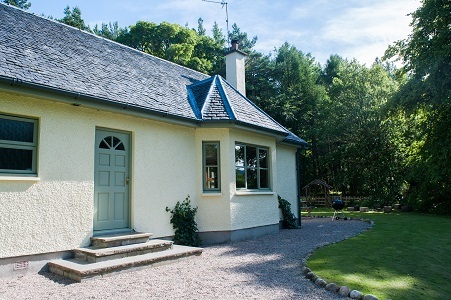 Are you planning to visit the Highlands to relax during January or February? We at Aldourie can suggest an endless array of villages and towns, each accommodating and friendly and worthy of a postcard home. Enter Beatrix Potter-style tearooms, gourmet restaurants and beautiful interior shops all awaiting your visit with service and a smile. 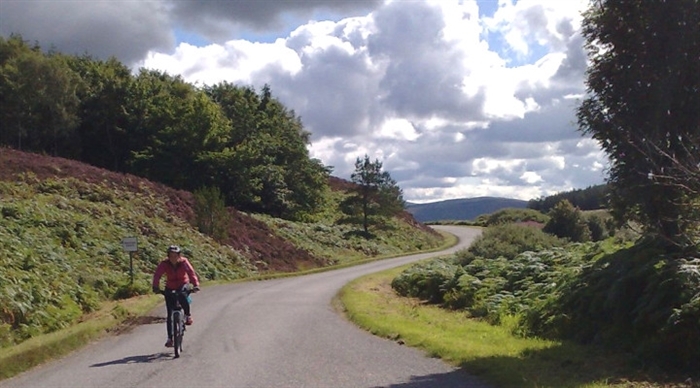 Beauly means ‘beautiful place’ and that is just what you’ll find only 20 minutes from any of the Scottish holiday cottages on Aldourie Castle Estate. Encounter a real feel of Scotland with a traditional Highland pipe band and quaint row of touristy shops. 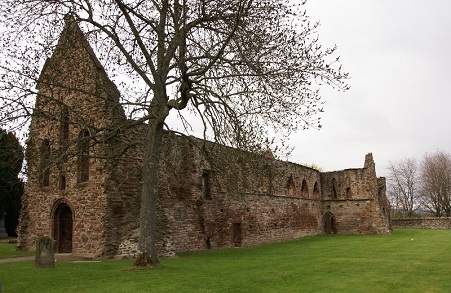 Take a break from shopping at Corner on the Square for a truly delicious sandwich and slice of homemade cake, then walk it off around the pretty Priory ruins. 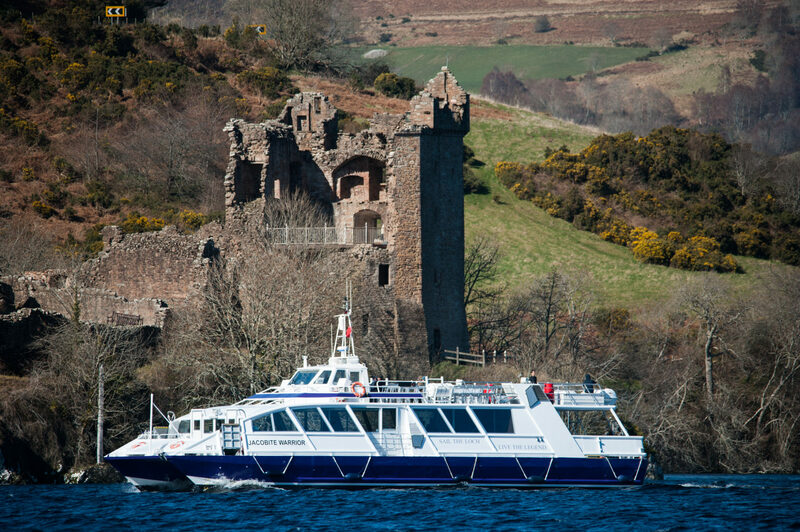 Some of the best boat cruises on Loch Ness depart from Fort William. This quaint little place is itself an extremely scenic drive away from your base on Aldourie’s Scottish Highland Estate. So do the most bewitching winter walks that lead higher and higher into utter wilderness. 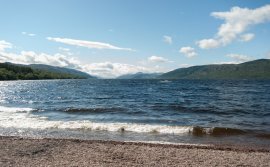 You will find your local area around Dores Beach on Aldourie Estate housing a couple of traditional pubs ideally located for holiday cottage guests visiting Loch Ness. There’s no excuse not to pop in for a quick drink in traditional Scottish surroundings. And especially when the walk home looks out over the spectacular Highlands and a moonlit Loch Ness.